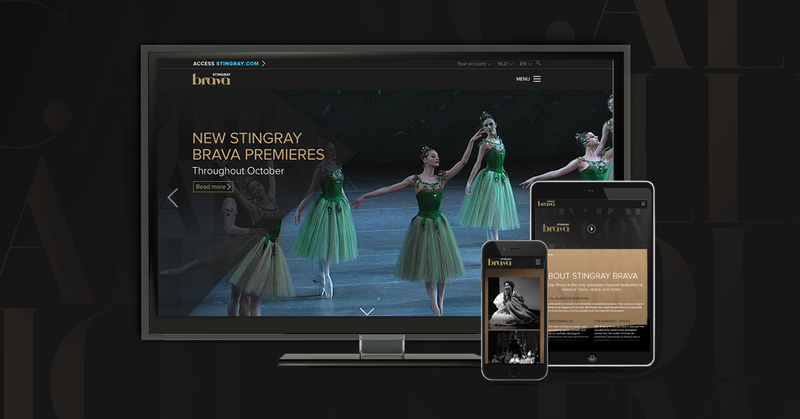 Stingray Brava will continue offering viewers the same expertly-curated programming they have come to expect from the team behind the leading television channel dedicated to classical music, opera, and ballet. The new Stingray Brava design was inspired by the grandiose interiors of the world’s most beautiful performance halls. The gold and black colour palette, borrowed from the wood and copper of musical instruments, reflects the brand’s sense of tradition, elegance and sophistication while the use of the Argo font creates a resolutely modern and approachable feel. Striking visual elements and a textured background add depth to the viewing experience. The Stingray Brava experience continues online with a brand new web platform. This redesign effort reflect Stingray’s commitment to offering viewers the best experience across all platforms and mark a crucial step in the global development plans for Stingray Brava. Stingray aspires to make the channel available and indispensable to music connoisseurs worldwide.